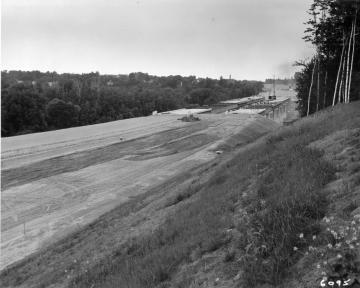 Highway construction, bridge completed. Erica Bruno writes on 2008-12-31: In this image, we see the beginnings of the construction of the I-89 Interstate that goes through the entire state of Vermont. While the interstate was an important technological advance for the state, it also played a huge role in the industrialization of the nation, for it opened up inter-state travel, and made it much easier for the common American. In this image, we can see that the road itself, while still dirt, has been leveled and is waiting to be paved. 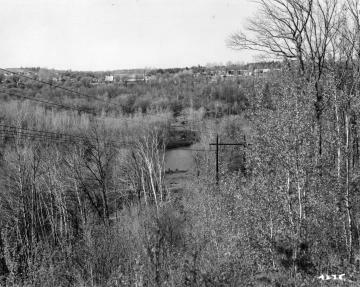 A little farther up, we can see the construction of a connecter bridge, which would cover the Winooski River in a section of South Burlington. 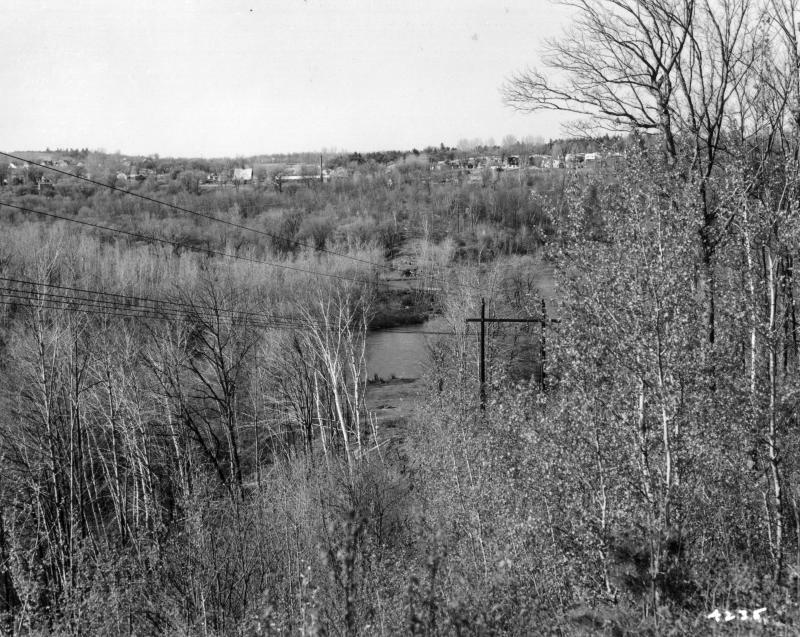 The landscape surrounding the construction site is heavily wooded, but in the distance you are able to see a few sparse households. Grassy slope with wildflowers in foreground.